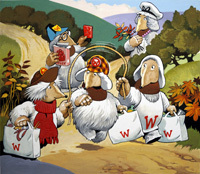 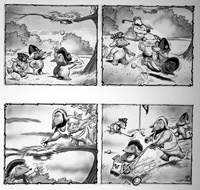 These are the original Pen & Ink Wash by Jesus Blasco. 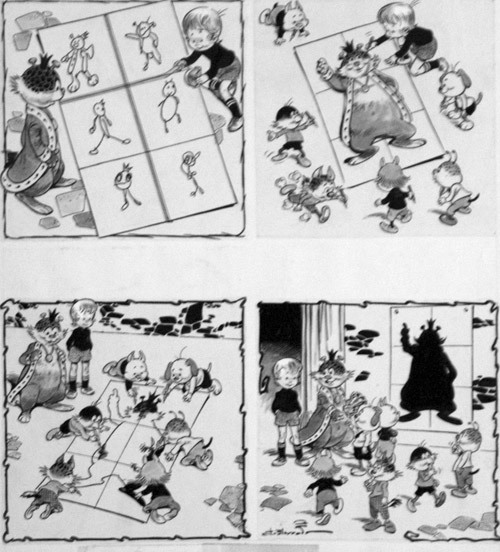 Two original paintings used in two pages of the pre-school children's comic Jack and Jill 11th May 1974. 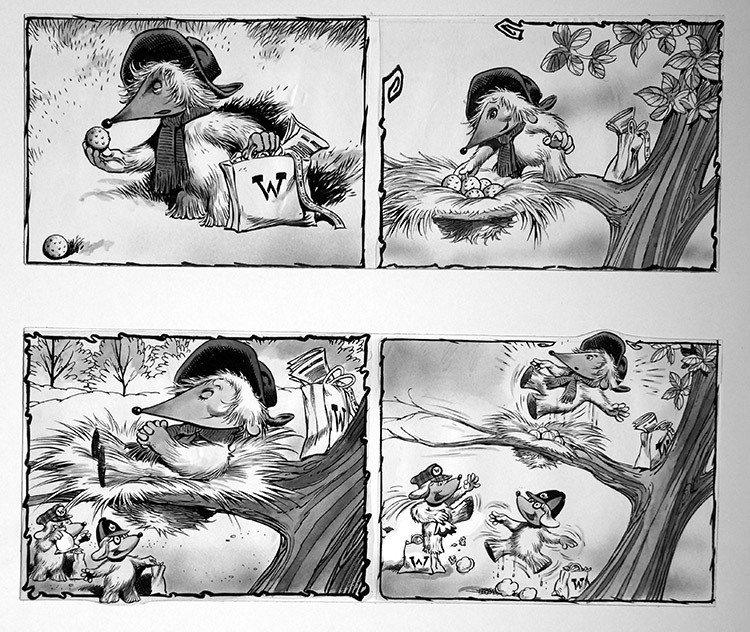 A complete 2 page story from in Jack and Jill Weekly wonderfully rendered by Jesus Blasco. 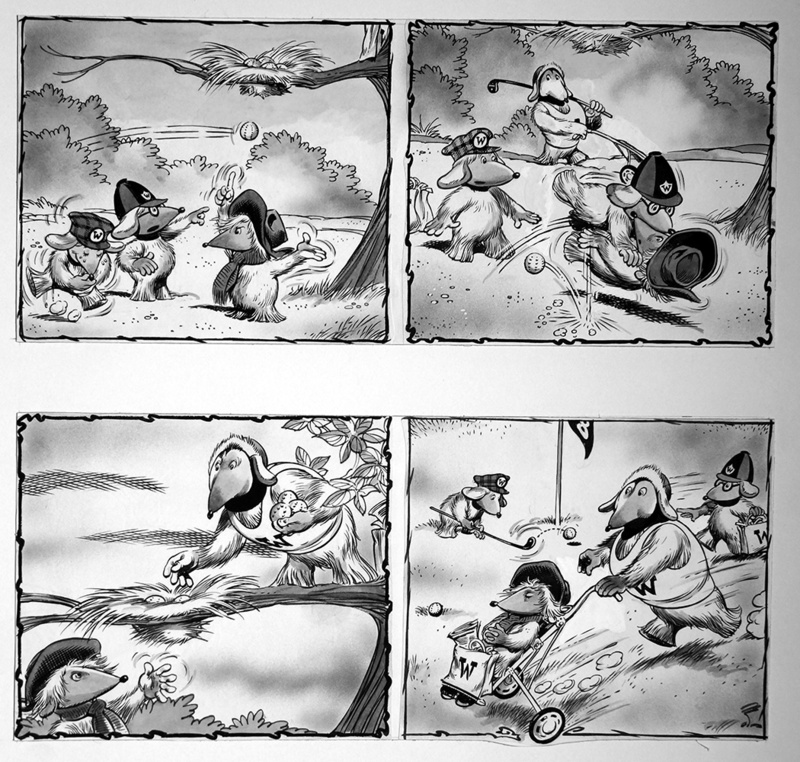 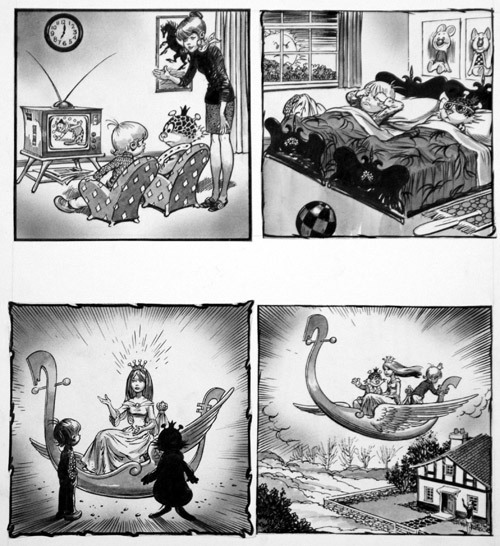 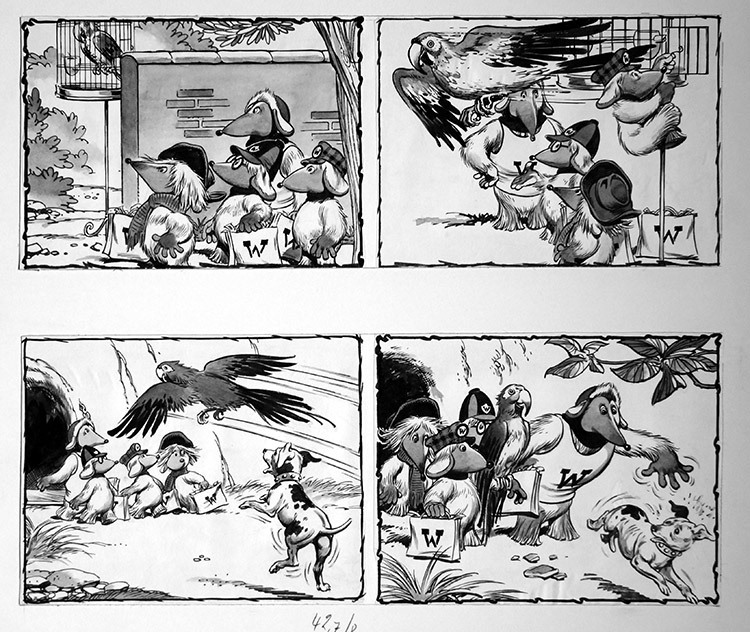 This example was published early in the strips run when it was used as an interior black and white feature.